Fitness is a hallmark of Callawassie Island's lifestyle, and we like to say there are many individual paths to health. Our certified Fitness Director helps members with conditioning routines and instructs our new members in the proper use of the equipment. The Director teaches conditioning and aerobics classes, and manages the use of outside instructors to teach classes in Yoga, Pilates, Tai Chi and other fitness disciplines. We also offer nutritional programs, health screening and guest instructor programs. Our new Fitness Center is currently open and operating. 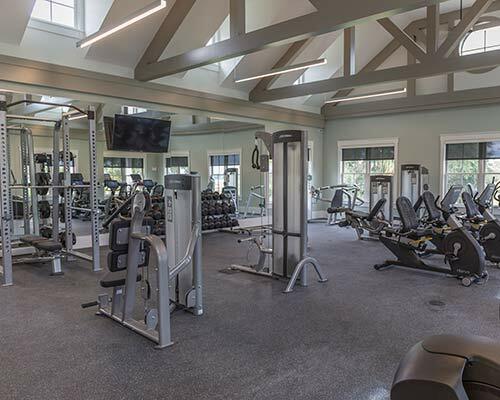 The Fitness Center has state of the art cardio equipment, a large group fitness class area and treatment rooms for physical therapy and massage sessions. There are two swimming pools on island, one at the Clubhouse and one at the River Club. Both are perfect for recreational and fitness swimming activity. 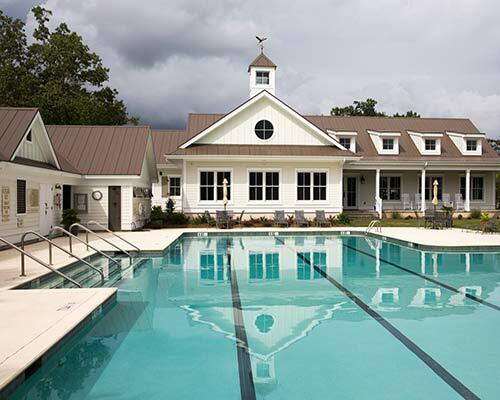 The Clubhouse swimming pool, which is cooled and heated, is for adults only, and is located adjacent to the new Fitness Center. Both pools are open year-round. Enjoy pool-side lunch service with your family at the River Club pool, located on the Colleton River, from Memorial Day to Labor Day. 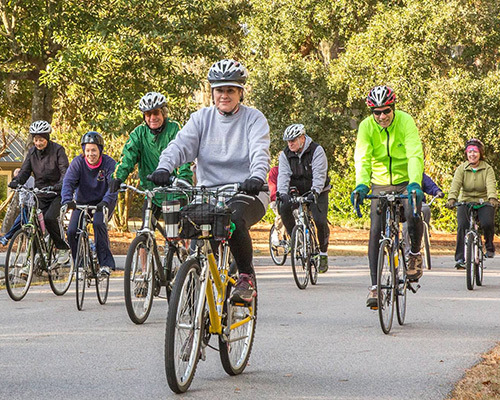 Callawassie Island is both biker and walker friendly, showcasing beautiful vistas throughout the island and along the golf courses, marshes, and surrounding waterways. Callawassie offers plenty of beautiful scenery to enjoy the outdoors through a nice stroll on one of our many walking paths. While walking around our 880-acre island, you’ll likely run into a friend or have the chance to make a new one while you take in the live oaks, magnolias, egrets, herons and other wildlife in the island's beautiful natural surroundings.